Directions for routes are all available on the websites listed. As of writing, all details are correct, but please check with the hire companies that they are open on the days you wish to travel before you set off. Distances mentioned here are from Penistone town centre. The Trans-Pennine Trail is probably the best known route in the area for cyclists and is a very safe place for all to use. Being a converted railway track, it is relatively level, and a great place for the less able to gain confidence in riding and bike handling skills. Other routes will be added to this section over time and if you have any suggestions, please get in touch and let us know. Penistone also has its own cycling centre, Cycle Penistone CIC, where you can hire bikes, buy accessories, get repairs and more. Click here to view their Visit Penistone page. SEE THE MAIN CYCLE PENISTONE CIC PAGE FOR MORE DETAILED INFORMATION. Bike practice sessions – for those who’ve not been on a bike for many years, or never! Various organised trails including local nature & history plus family picnics. 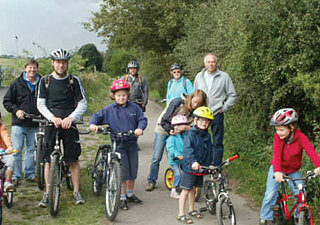 Cycling around Penistone is a brilliant way for you, family & friends to enjoy scenic cycling. Try the traffic-free Trans Pennine Trail (TPT) or venture further afield along quiet country lanes, amongst beautiful rolling hills on the edge of the Peak District National Park. Based at It's for Hire in the lively market town of Penistone, it's directly next to the TPT with lots of parking, a repair centre and handy cafe on site. Small fleet of cycles available for hire - can also be delivered. 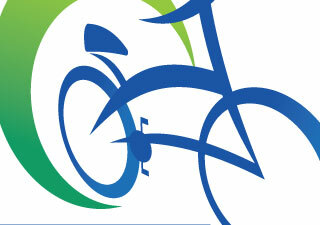 Repair service also available - any type of bicycle. BMX, MTB, Road, Vintage or Modern. Adult or Child. Bring your cycle to Wortley Post Office Or we can come to you, ask about our Pickup/Mobile Repair Service. 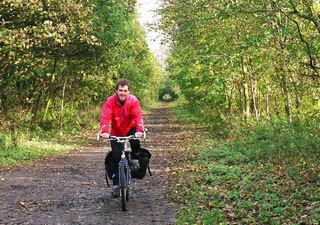 The Trans Pennine Trail (TPT) is the first long distance multi-user trail in the UK. It stretches 215 miles (346km), from Southport on the west coast to Hornsea on the east, taking in the Peak District National Park and linking the cities of Liverpool, Manchester and Hull. Because of the length of the trail there are plenty of start and finish points - however, for those wishing a slightly longer trip, there's route mapped out at www.peakdistrictcycleways.co.uk (link leads to new site and appropriate page). It starts in Penistone and finishes in Glossop (or vice versa!) and is roughly 15 miles. It says in the description on the site: "Best bit: Dunford Bridge eastwards to Hazlehead or Penistone for a traffic-free route across the moors." The trail in Penistone is easy to find and can be accessed behind the Community Centre or Tesco in Penistone. You can read more about the Trans-Pennine Trail here on the Visit Penistone website or at the excellent official Trans-Pennine Trail site. Information taken from www.peakdistrictcycleways.co.uk - the site is well worth visiting if you're planning to stay in the region with your bikes. See map and route at the link to the site above. From Penistone the route climbs over the open moors past a row of wind turbines before plunging down to Holmfirth and Last of the Summer Wine country on switchback lanes. A long pull back uphill takes you out of the Holme valley before an easy conclusion along the Trans Pennine Trail. The route can be accessed from Dunford Bridge (car parking available; about 6 miles from Penistone) and is part of what is described as "the two-wheel equivalent of the Pennine Way". All the information on these pages is obtained from directories or, in some cases the attractions themselves or their websites. All effirt is made to ensure the accuracy of entries but you should always check with the venues themselves before visiting. Any queries should be addressed to the owners of the business, not Visit Penistone.